This week we welcome Lissanna from Restokin. 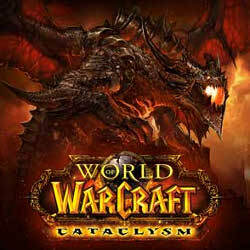 Lissanna has been lucky enough to be involved in the Alpha and Beta of Cataclysm. She works hard to make sure that when we all get this expansion, the bugs have been squashed DEAD! But, she’s with us on this episode to talk about what we can expect so far for Cataclysm as a whole and Druids specifically. SPOILER ALERT! WE TALK ABOUT CATACLYSM A LOT! WoW =might= consider going free-to-play after their new MMO comes out. Pndrev of Primetime Casual (link) came up with a highly imaginative and very actual topic: Worldcup Warcraft! Next week, we’ll be here!! You should too! See you then! Good afternoon and thank you very much for the shout-out here! I think your website is great and I look forward to giving your podcasts a listen and to see what you guys are doing for the community and to hear your thoughts on some recent hot button topics.